Zos Kias turns 12 years old this year, and with this coming year, comes another volume. With your help, we can make sure volume 11 comes out and comes out big! Any amount, no matter how small, is much appreciated. 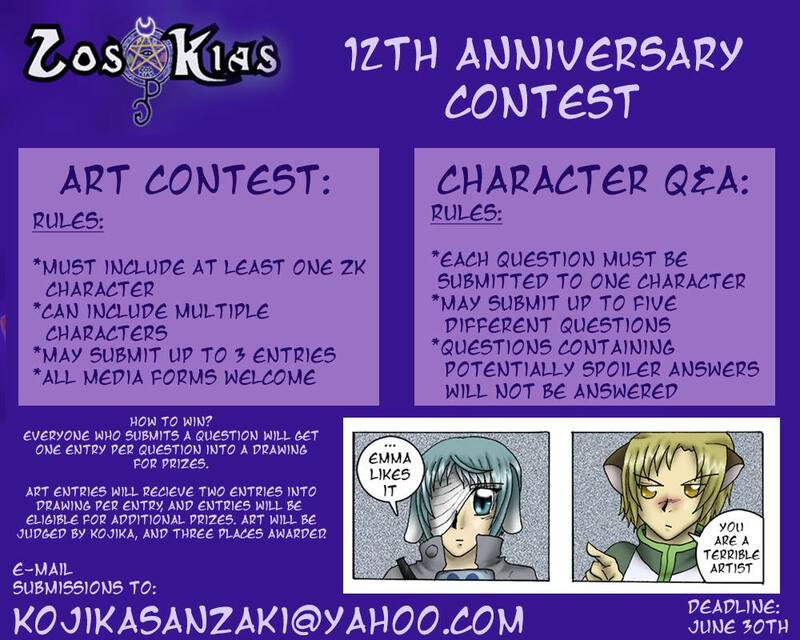 Zos Kias 12th Year Anniversary Contest is live! *Must include at least one Zos Kias character. *May submit up to three pieces of art. *All forms of media accepted. These include, but not limited to- digital art; traditional art; writing; photography; costume; crafting; sculpting; and more. Submit questions to your favorite characters! *Submit one question at a time, and to only one character. *May submit up to five different questions (can be to same or different character). The same question may not be resubmitted as an entry, even if it’s for a different character. *Questions will be answered at Kojika’s discretion. Anything containing potentially spoiler information in the answer will not be answered. Questions that are rude or offensive will not be answered. 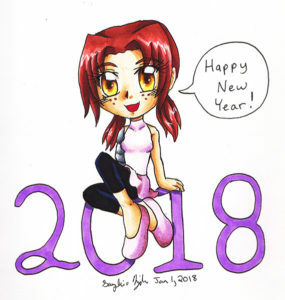 Art Contest entries will receive two entries into drawing, per entry. Q&A submissions will receive one entry per question. Dependent on the number of entries into the drawing, a number winners will be chosen from random lottery. The more entries, the more prizes that will be given away. Sorry about the radio silence! I got a big project commissioned, and all of my time has been dedicated to that. I should have it finished this week, so while the pages will be delayed, I do intend to try to update this week, if at all possible. I will also be working hard to get a buffer back up again after this, so I don’t have to go on a break just to get caught up on stuff. Volume 11 is still scheduled to be out in May, and I’ll give you guys more news about that, too, over the next couple months. Thank you for being patient, and sorry for the inconvenience. I appreciate each and every one of you who has continued to read Zos Kias all this time.